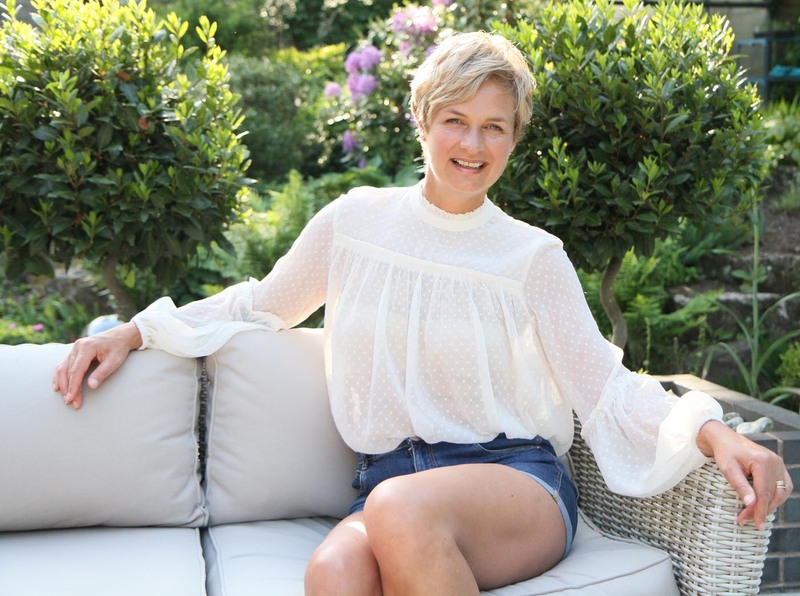 Another picture in my fabulous garden, love this blouse, one of my birthday buys in Manchester, what a fab weekend that was 🙂 Shopping, Food & Sunshine on repeat. I came home with 4 white blouses in various guises, sheer, frilly, linen, cotton, silk, love them all. Plus other lovely bits a pieces. This blouse is from H&M, completely trend driven but a piece I can wear through to the Autumn Winter season, I have tucked it in high waisted denim shorts, but it’s just as pretty worn lose as well, I plan to wear it with Orange flares from AQAQ very soon, just need a cooler evening, not that I want it to cool down, absolutely loving the hot weather, apart from my menopausal moments! !